Take advantage of the range of free or discounted health services available at the University. Student Equity and Disability ServicesFor students who need ongoing support. Looking for a job, preparing your career, or thinking about going on exchange? There are a number of ways to broaden your horizons during your studies. Having the tools to navigate the University and study efficiently is the key to your success as a student. When you’re equipped with the basics, you'll be able to achieve your goals and get the most out of your experience. Get help with the essentials so you can focus on your studies and campus life. Stop 1 can connect you with the full range of student services to support your success while studying at the University. Browse workshops and sessions, sort out admin, book an appointment with an adviser for expert guidance, find out where to seek further help or submit an enquiry if you can’t find what you’re looking for online. 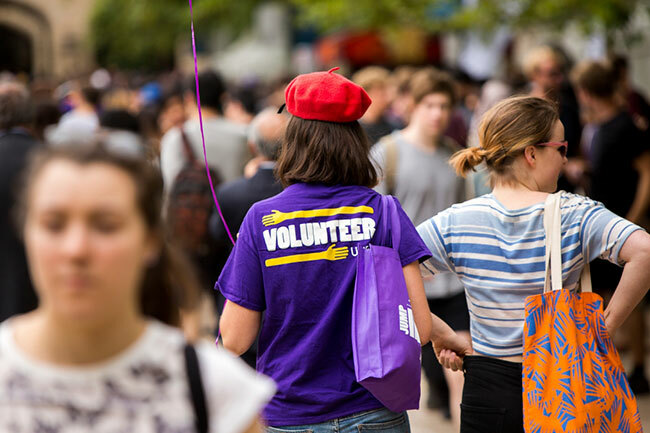 As a student, you can access clubs, social events, support, advocacy, representation and a range of other services through University of Melbourne Student Union (UMSU) and University of Melbourne Graduate Student Association (GSA). The central website for all current students. Get the most out of your student experience, find tools to succeed, and get basic information about your enrolment up to date. Search over 800 frequently asked questions to find the answer you need. You can also ask online by starting a chat, or submit an online enquiry to Stop 1 staff. Search across all University websites to find the information you're looking for. Find recommended results, as well as courses, people, places, events and news.